Bearded Seals are unusual visitors to most of Newfoundland – especially the Avalon Peninsula – but it does happen from time to time as a wayward individual wanders down from further north or hitches a ride on the arctic ice that drifts our way every winter/spring. The name “bearded” comes from their long, white whiskers (which are very sensitive and used to detect food on the mirky ocean floor) – although many people know them by a different name derived from another characteristic feature – “square flipper”. The largest of the arctic seals, adults can reach 8 feet in length and weigh an astounding 750 pounds. This Bearded Seal was hanging out in Renews a few years back … the furthest south of the five I’ve seen on the Avalon Peninsula. Check out those long whiskers! Although I’ve been fortunate to spot four Bearded Seals on the Avalon Peninsula over the past decade or so, I was still surprised when my friend Andrew McCarthy posted a photo of one on Twitter yesterday afternoon – from right here in St. John’s. This morning my daughter, nephew and I headed down the harbour to look for it … and sure enough, there it was looking very comfortable on the ice that had formed in the shelter of the city’s boat basin. It was relatively unperturbed as we stood on the nearby wharf, snapping photos and enjoying this visitor from “upalong”. Although still a big animal, the relative small size (for a Bearded Seal) and the dark stripe on the forehead identify this one as an immature — maybe just a year old. You never know what you’ll spot when you’re out & about!! This was the first Bearded Seal I ever saw – a much larger individual chilling out in Fermeuse during a Christmas Bird Count. 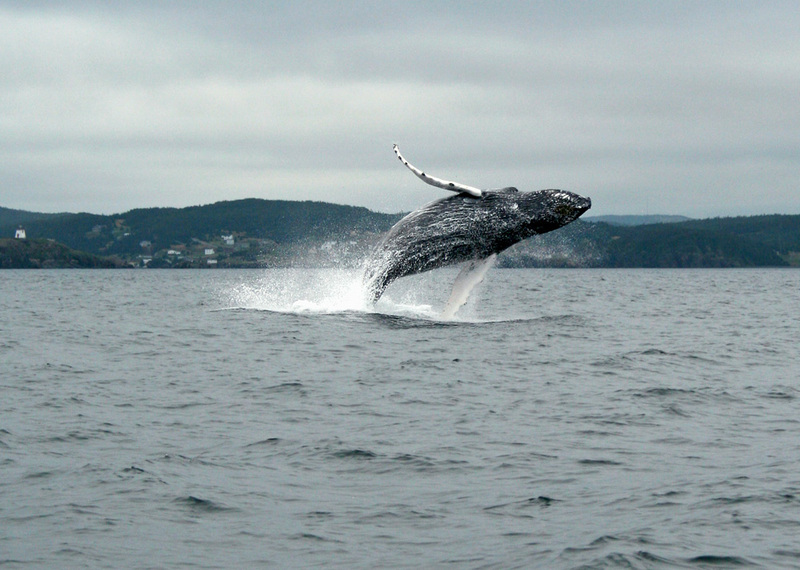 This fella was hanging out in Bay Bulls a couple springs ago – delighting tourists (and tour guides alike!) as they boarded a nearby tour boat. I wonder if they realized how unusual a sighting it was?!?! I was thrilled this weekend to spend a fun morning birding with my oldest daughter, Emma (9) … a morning which quickly turned “epic” as we ended up scoring two ABA (North American) rarities together! 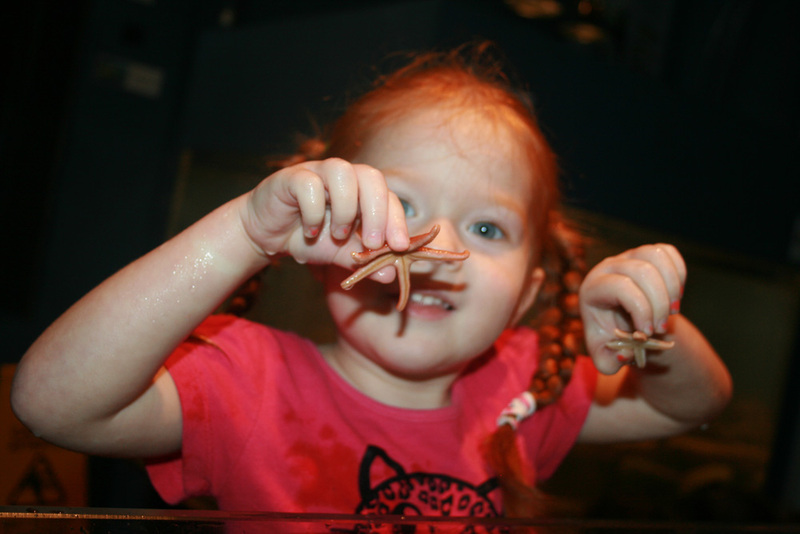 Emma enjoying the second of two ABA (North American) rarities of our morning – a Gray Heron hanging out in Renews. A lifer for her, my second for Newfoundland, and just the ~5th record for the province and Canada. It’s not always easy to find balance in life as a birder, professional nature guide and a parent of two busy girls. I have no shame admitting that I spend far less time birding “recreationally” for myself these days (I do, of course, spend a lot of time birding with tours and clients – but as fun as that is, it’s not quite the same) … and I spend most of my other weekends involved in an array of family activities. I encourage my girls to appreciate and explore nature and (especially) birds, but I have never pushed it on them. Much to my glee, Emma has been expressing lots of interest lately and has even been asking me to take her to see two rare PINK-FOOTED GEESE that showed up in St. John’s recently — something I was excited to make happen. We got up early on Saturday, grabbed a “birder’s breakfast” (Tim Horton’s muffin and coffee/hot chocolate!) and made the short drive across town under cover of darkness. The geese have been spending nights in a city pond, but consistently fly off within minutes of sunrise to spend the day at a currently unknown location — so the key to seeing them is to be early. We were able to spot the two Pink-footed Geese, along with more than a dozen Canada Geese, through my Kowa scope while it was still quite dark. Joined by another local birder, we walked along the trail for a closer vantage point and waited for the light to trickle in, eventually enjoying longer and better looks. True to form, the entire flock of geese picked up shortly after sunrise and flew off over the nearby neighbourhood – no doubt to a farm field in nearby Kilbride or Goulds. The hadn’t stayed long enough to allow for decent photos, but our views has been excellent! Two Pink-footed Geese have been hanging out with a small flock of Canada Geese in Mount Pearl (just outside St. John’s) since at least October 24. As on most mornings, they flew off before the light got nice enough for decent photos, but still provided some great views. Emma celebrating her “lifer” Pink-footed Geese, spotted with the help of my Kowa scope well before the sun came up. We still had the full morning ahead of us as we arrived back at the car, and were looking forward to some more birding … maybe driving around the local fields looking for the geese or a wayward Cattle Egret (numerous had been reported in eastern Newfoundland the past two days). Suddenly my phone buzzed with a message that an intriguing heron in Renews from the evening before had been confirmed as a mega-rare GRAY HERON and was still there this morning. Emma was gung-ho for the adventure, so we hit the highway south for what has always been one of my favourite birding locations. We chatted non-stop for the 1.5 hour drive (mostly about birds), and Emma even honed her eBird skills by entering a checklist all on her own. We arrived at Renews to find fellow birder Peter Shelton looking at the Gray Heron on a rock across the inner bay – distant, but well within scope range. Emma was also thrilled to find a Harbour Seal on the rocks much closer to us. Eventually the heron picked up and flew around the harbour, eventually landing a little closer to the road on the other side where we enjoyed somewhat closer views … and met up with lots of other birders as they began to appear. Emma was in her glee enjoying the birds, meeting the other birders (although a little shy, I think she liked the attention she garnered as they youngest birder there!) and trying to photograph a very rare heron. My poor record shot of this huge rarity from Europe – a Gray Heron. Very similar to its North American cousin, the Great Blue Heron, it is distinguished using several key features such as clean white (versus rusty) thighs, lack of rufous in the leading edge of the wing, and even more subtle differences in bill and plumage patterns. Even in my less-than-ideal photos you can see the overall gray appearance of this bird, lacking the bluish tones of Great Blue Heron. 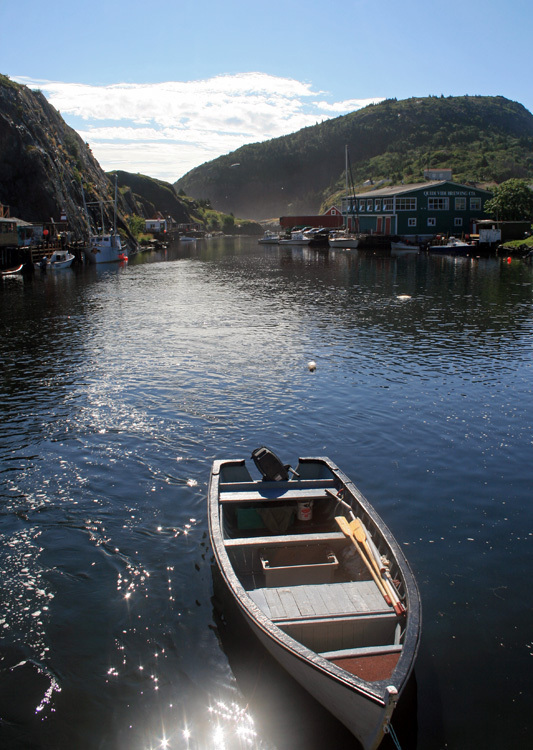 There’s an old adage in St. John’s that summer ends after Regatta Day (the famous rowing races held here on the first Wednesday of August). While that hasn’t really been my experience, this year it held true. Very true. While July was one of the hottest (and driest) months on record for the city, August turned out to be among the wettest and coolest! The rain started on Regatta Day (Aug 6) and hardly let up for the next few weeks. Temperatures rarely climbed out of the teens and sometimes dipped down to single digits, and there were only 5 days without rain the entire month! But what odds? A little rain, drizzle & fog hasn’t stopped me from enjoying life before, and neither would it now. I started the month by spending some quality time with my father and two little girls (while all the women in our family were traveling in Ireland! 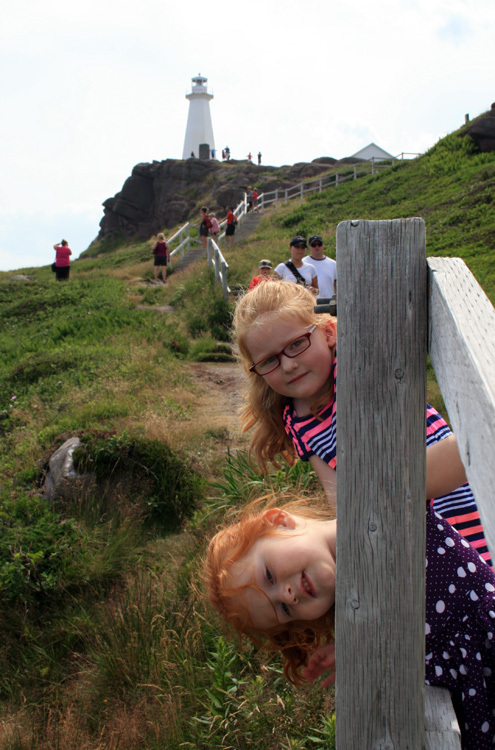 ), including a few days in Grates Cove, a visit to beautiful Cape Spear and lots of other fun. In fact, those first few days of August were the hottest days of summer, with temps in the mid-thirties! 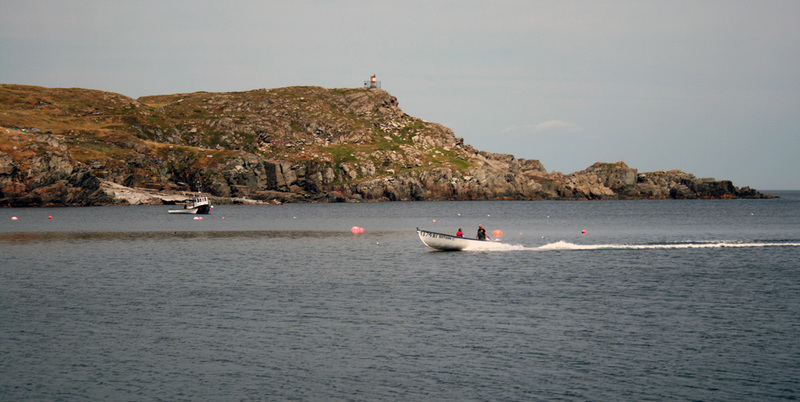 On August 5, I headed off to start my last tour of the season — a Wildland’s “Newfoundland Adventure” Tour that had just one guest, a Canadian currently living abroad in Holland and making her first foray to Newfoundland. 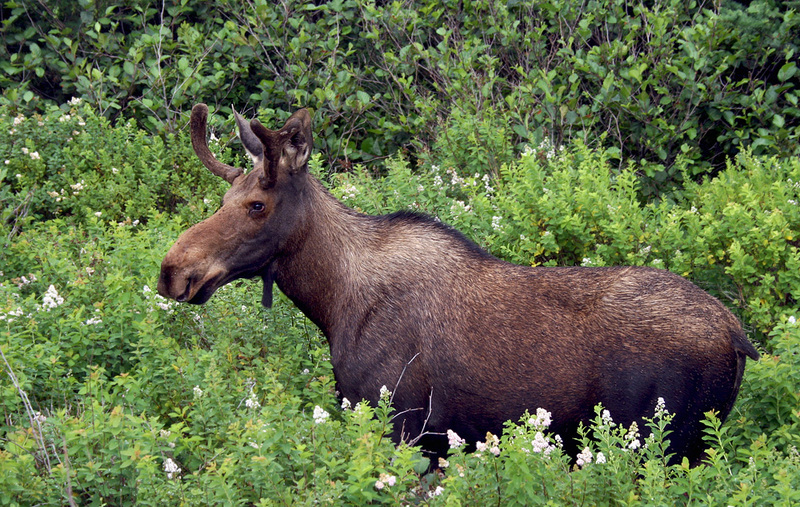 It was a great week as we enjoyed amazing scenery, tons of whales, historical walks, and even a close-up moose … all while dodging the fog and rain that had begun its big invasion! 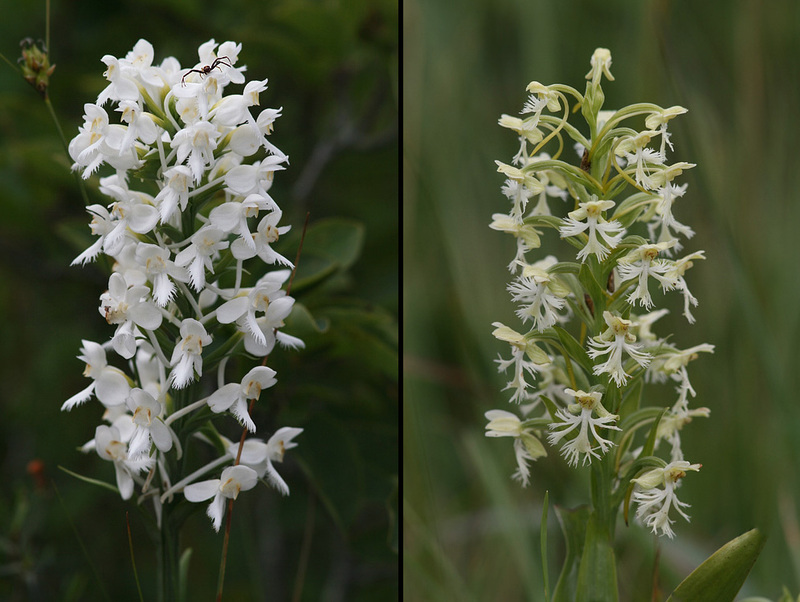 Beautiful flowers, such as these White-fringed (left) and Ragged-fringed (right) Orchids were blooming in roadside bogs during our drives. 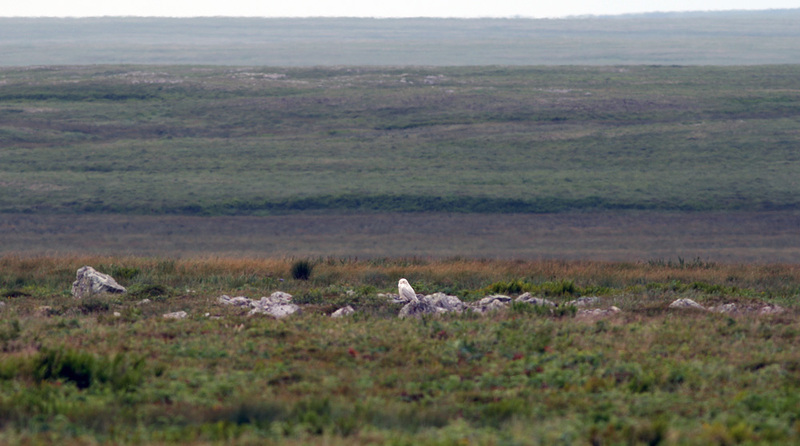 We encountered a Snowy Owl sitting on the barrens near St. Shott’s – an unusual sighting here in mid-summer but one of several known to have lingered after last fall’s big invasion. 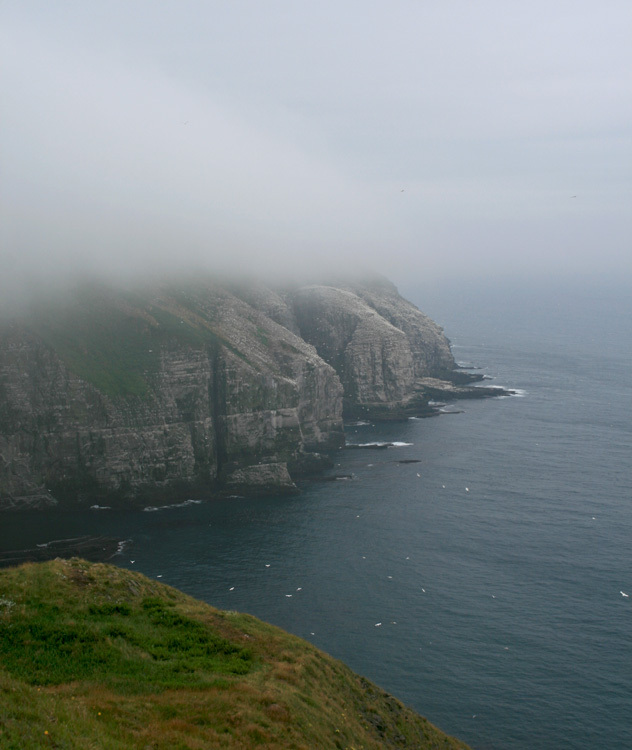 We encountered our first fog at Cape St. Mary’s, although it moved off during the morning to reveal a beautiful day. 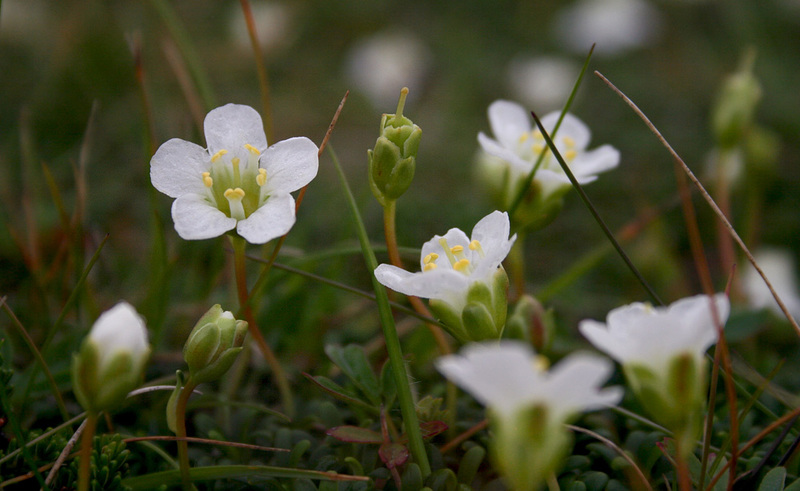 Subalpine flowers, like these Diapensia lapponica, grow on the sub-arctic tundra of Cape St. Mary’s. 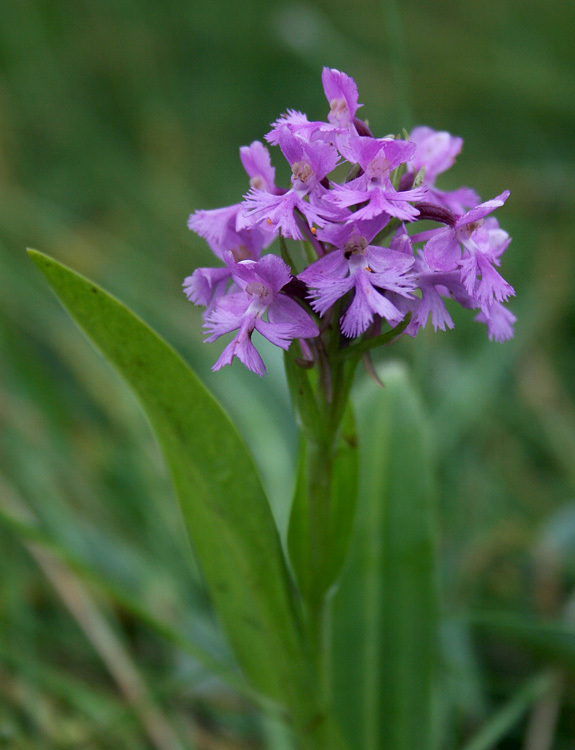 Small Purple-fringed Orchids were also in bloom at Cape St. Mary’s – often hiding amongst patches of longer grass. 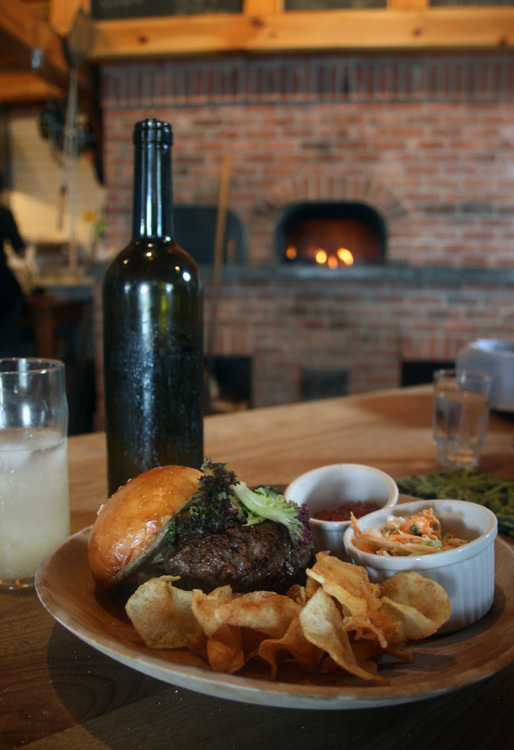 The other moose we enjoyed during the tour was on our plates — this burger served with delicious partridgeberry ketchup at the Bonavista Social Club. Icebergs in August are pretty unusual, but this has been an exceptional year. This one in Bonavista Bay was the last one I’ll see this year. 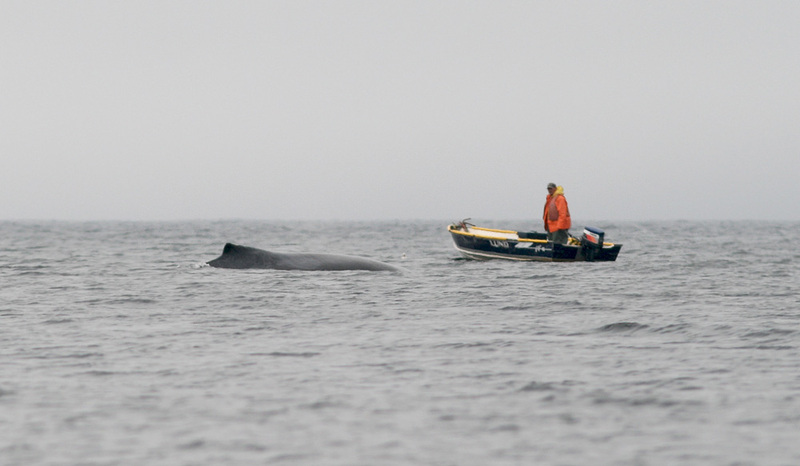 Whales were plentiful in Trinity Bay, and we enjoyed close encounters with twenty or more Humpbacks during our two zodiac trips with Sea of Whale Adventures. 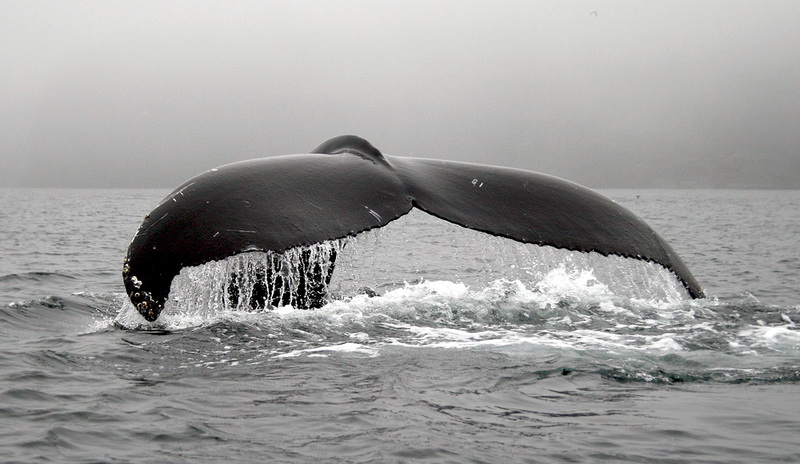 Although most were busy gorging on the schools of capelin, a few entertained us with some beautiful breaches. This one in front of the historic town of Trinity! The last day of the tour was spent exploring the beautiful and historic sites of St. John’s, North Americas oldest city. 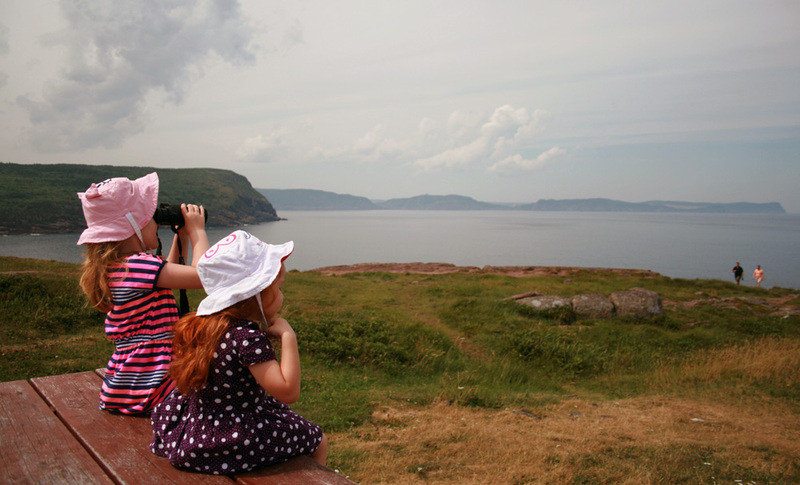 The rest of the month was family-time – much of it spent hanging out together in Grates Cove. 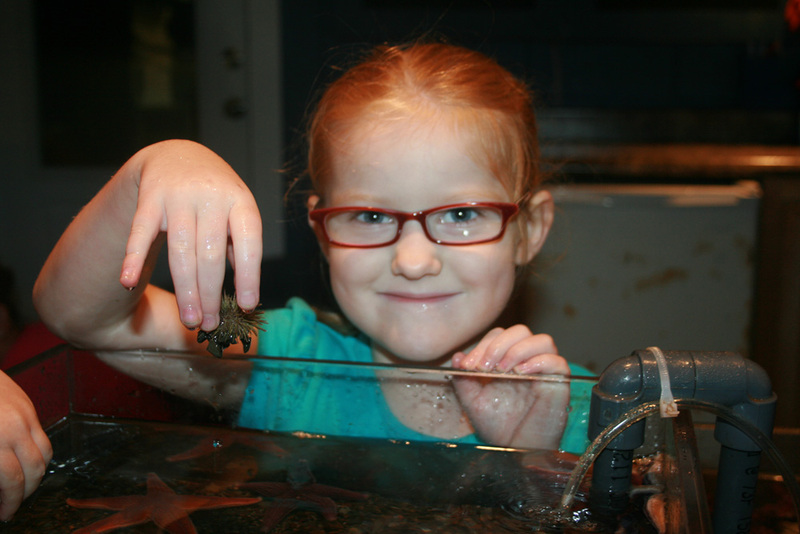 We are fortunate that my wife’s family has an old home there, at the northern tip of the Avalon Peninsula, where we can get back to basics and connect a little with nature, history and each other. 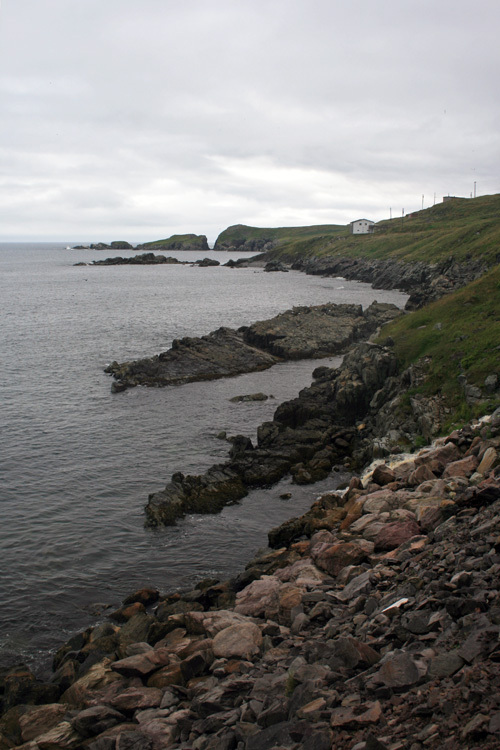 The ruggedness of the sea, coast and barrens at Grates Cove are always a treat. We’re fortunate to be able to spend so much time there. 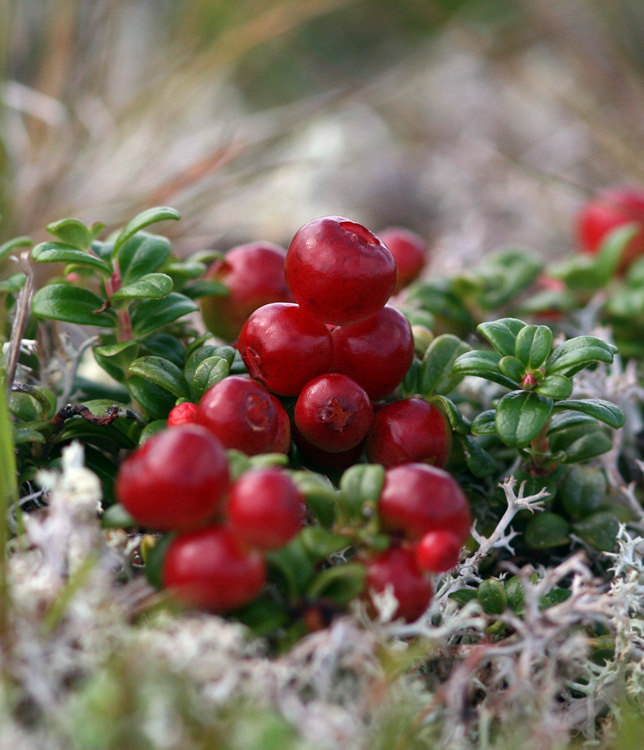 It was nice to see the first Partridgeberries turning red on the barrens, although it was the blueberries that got most of our attention in August. 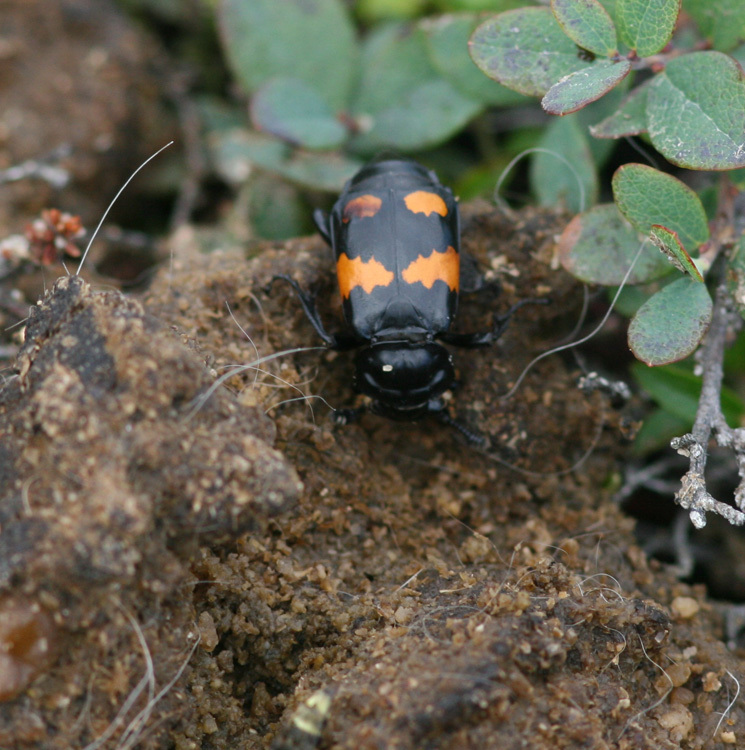 It was interesting to come upon some Burying Beetles (Nicrophorus sp) at work alongside one of my favourite walking trails. 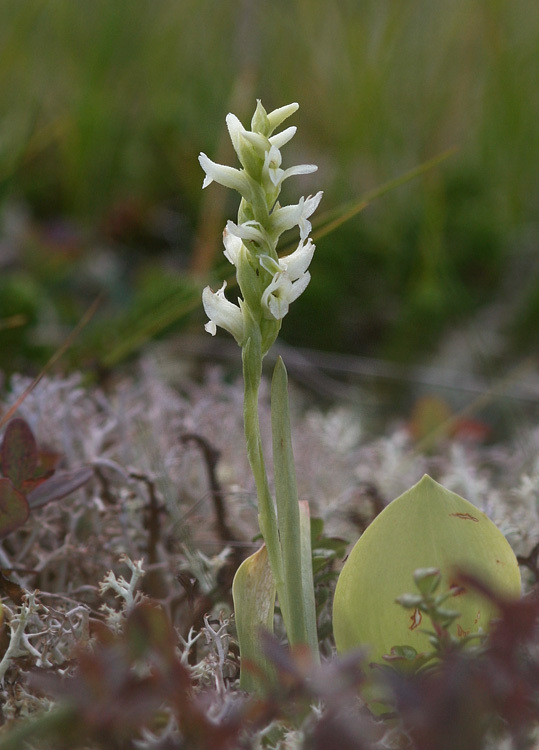 The last of our orchids to flower, Hooded Ladies Tresses, were popping into bloom in mid-August. 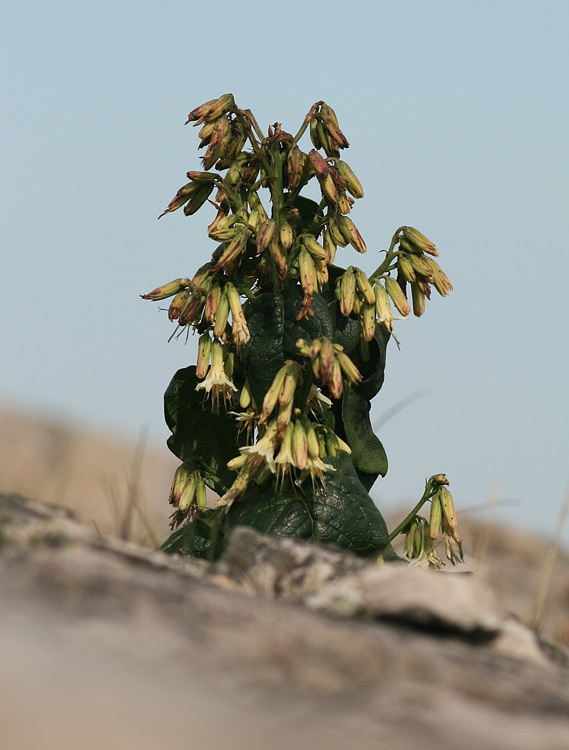 More abundant, but less splendid, was Gall of the Earth – an odd flower that looks sickly even when its in full bloom! 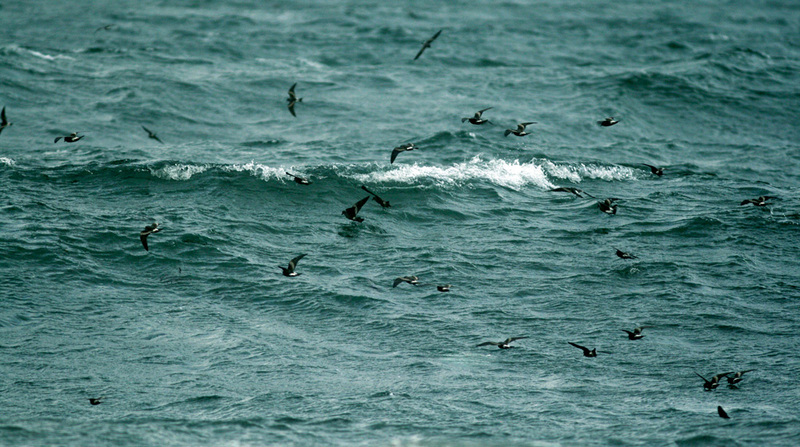 Thousands of Leach’s Storm Petrels fluttered over Conception Bay, driven there by the strong wrap-around winds from Tropical Storm Cristobal (August 29).